After a complete let down on the Wankhede, team India submitted its 35 pages report alleging that India's leading cement company Ambuja Cements used poor quality of cement in building pitch, BCCI decided to cancel the contract of the company for Eden Gardens and allotted to JK Cements. 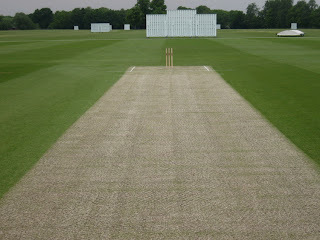 "Yea we asked Ambuja Cements to build some dead pitch with support to Indian spin. However, they built a pitch that supported English spin," said an Official of BCCI. He said "Finally, we decided to cancel Ambuja's contract and allotted it to leading northern cement company JK Cement." Sources said that JK Cements would build Eden Gardens pitch which would be totally lifeless. The company also promised to provide free muddy colouring on the pitch to look it like pitch made of dust.